The sold out Viennese Ball was a night to remember. It’s purpose – to take us into the majesty of Vienna, the beauty of Innsbruck, and the charm of Saizburg, with of course, D.C.’s flare and Austria’s royalty. It didn’t matter if you never waltzed before as long as you came with your dancing shoes on. And you were in good hands, as the dance master led you step by step. The night escalated from Mozart to modern mainstream, and there was not a dull moment on the dance floor of the Viennese Ball. The Valentine’s Day inspired celebration took place until midnight, fitting for a ball, right? Admission included dinner (if you were VIP) you experienced ‘battle of the chocolates’ dessert. There was also a European opera performance, an open bar, dancing, and a movie. The whole event allowed you to experience the beauty of Austria right from the walls of the embassy. The event was put together by Things To Do. Things To Do is a social and networking organization catered to the young professions of Washington, D.C. 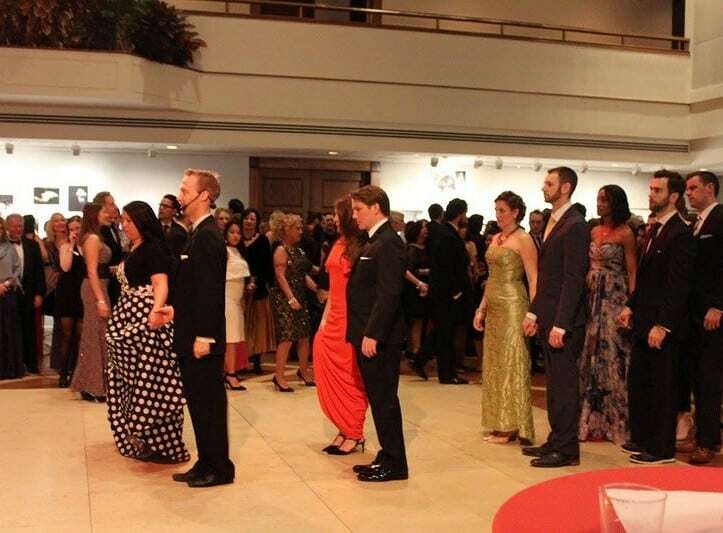 They produce ,ore than the Viennese Ball the organization is host to over 175,000 local young professionals. It’s mission is to produce events that enrich social and cultural experiences for its members, while allowing the opportunity to network and meet other like-minded young professionals. Things to DC hosts various events, such as interactive social, educational and cultural. It is open to all ages that have an interest in learning new things and meeting new people. To learn more about the website, or become a member, visit www.thingstododc.com.